Luis Pato is the name everyone mentions when the Bairrada region is discussed: he's been producing wines from 62 ha of family owned vineyards (in 23 different plots) since the early 1980s that have been attracting a lot of press. So it was nice to be able to try Pato's quartet of single vineyard wines side-by-side. They are potentially very impressive; I say potentially, because all these wines will really need a decade or so to really show at their best. They are not widely available yet in the UK. The retail price will be some £15-20 per bottle, so they are not cheap, although this is reasonable for the quality on offer. As with most red Bairrada, the variety used in these wines is the tannic Baga grape. 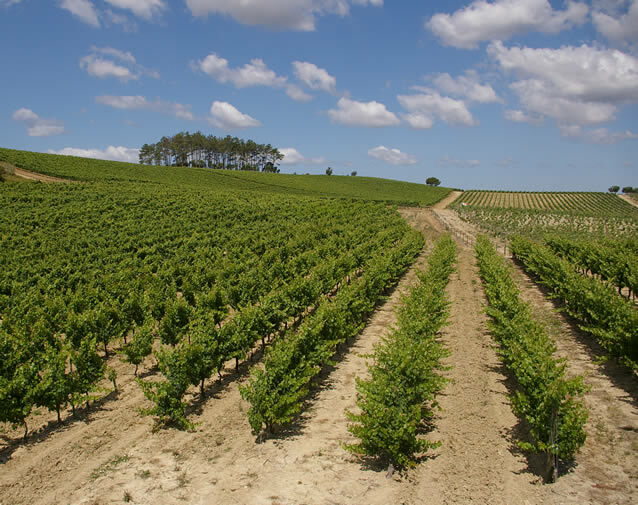 This 20 Ha property is one of the leading lights in the Bairrada regions. All the red grapes are hand-harvested and trodden in lagares, where fermentation are takes place. The reds are then aged in large oak vats for one to three years, and bottled unfiltered. In contrast to the ultra-traditional reds, whites are given the modern treatment in the winery, with cold fermentation.